We can offer boiler servicing, repairs and upgrades. Your Gas Safe registered engineer has over thirty years of experience in boiler servicing, repairs and upgrades, and can advise you on the most efficient and up to date system. 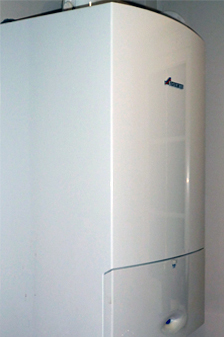 Having a relatively modern gas boiler is key to safety and will save you money. A boiler that is over 10 years old will not be as efficient. A replacement boiler, complete with a modern timer system, will immediately start saving you money and will help the environment. Regularly having your boiler serviced is essential. Your Gas Safe registered engineer will carry out a full inspection of your boiler, checking its inner components and control system for signs of damage and wear, ensuring that vital components are clean and in full working order. A full examination of the rest of your heating system will be carried out to check for leaks and signs of corrosion. Having your gas appliances and fittings regularly checked and serviced is essential for both safety and efficiency. You should have your appliances checked every year. Gas Safe registered engineers are fully qualified boiler installers, and are qualified to undertake gas safety checks and provide gas safety certificates for all gas appliances in your home. Being Gas Safe registered is an essential requirement in order to undertake checks and issue safety certificates. The process is relatively simple. Your Gas Safe registered engineer will inspect the quality, pressure levels, physical stability and efficiency of all appliances and pipe work. Landlords must have all gas appliances and pipe work checked by a Gas Safe registered engineer every twelve months, and obtain a Landlord Safety Certificate to prove they are all safe.